How do I create and use custom frequencies & calendars in SQL-RD? 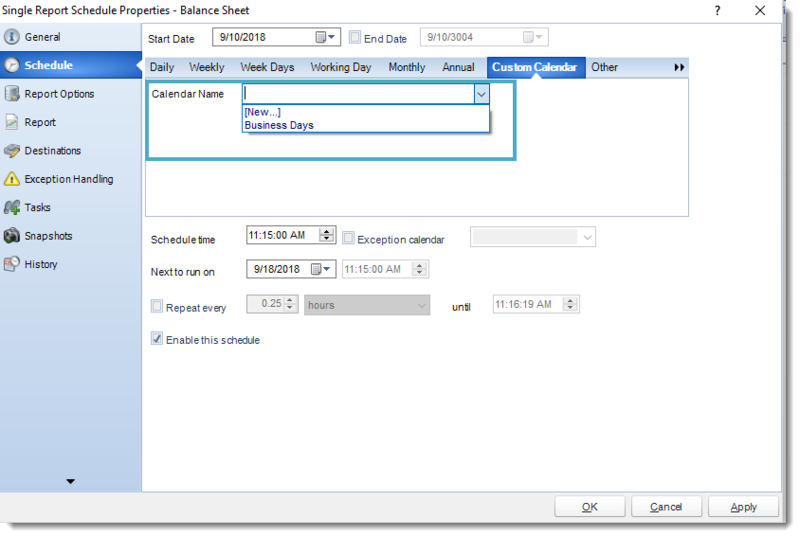 You can create your own scheduling frequencies with "Custom Calendars". This is where the scheduling frequency required doesn't follow an existing standard pattern. 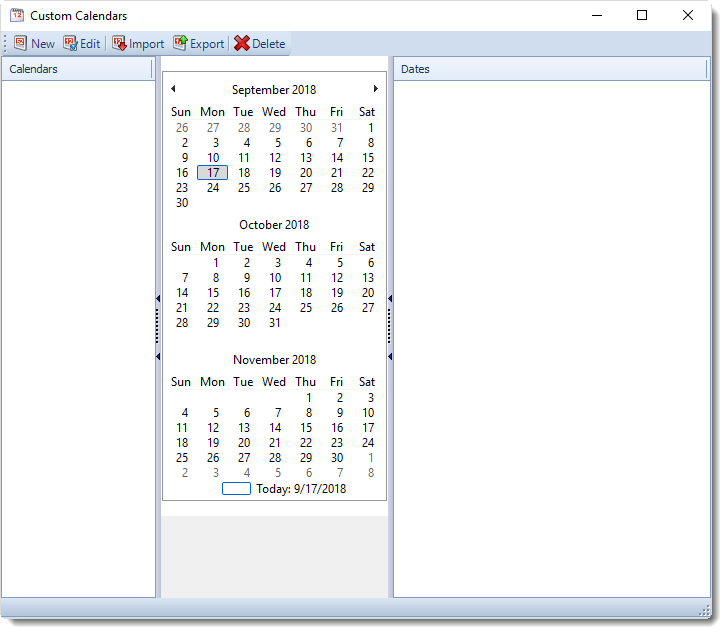 Create your own scheduling frequencies with Custom Calendars. Type in a name for the new calendar. Click the dates you wish scheduling to occur, click on a date again to remove it from the selection. Update Schedules: Use this button to update all schedule which use this calendar. The schedules will be updated with the new calendar information. If this function is not used, the schedules will retain the old calendar information. Edit: Select the calendar you wish to edit and click this button. Import: Use this button to import a calendar. Export: Use this button to export a calendar. Delete: Select the calendar from the list and click this button. In your schedule go to Schedule. 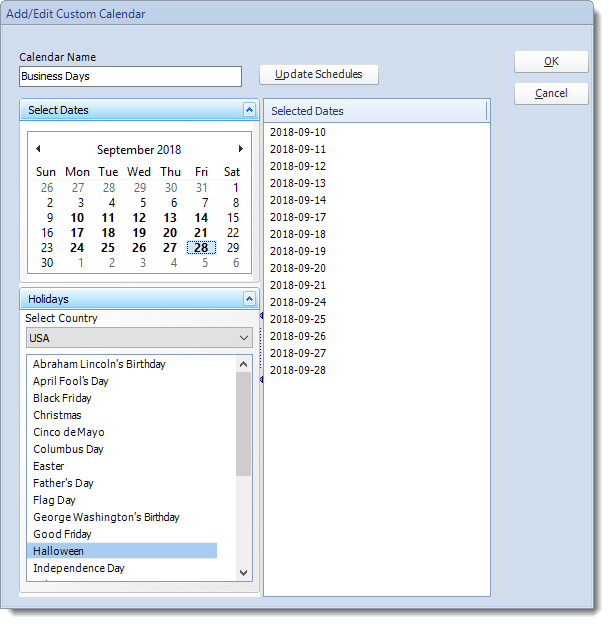 Select a calendar from the drop down list. All schedules in use by a custom calendar are now disabled when the calendar ends. If a user adds more dates to the calendar the option is now available to re-enable all schedules that use the affected calendar.